Domino's Pizza is having another 50% deal where you can get any pizza for half the price. This offer only lasts from December 3 to 9, 2012. 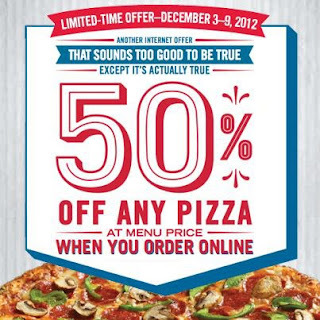 To get 50% off any pizza, use the coupon code CAGDD2012.